The space is heating up in the Pan-European Video-on-demand (VOD) market. After the announcement of Netflix expanding to The Netherlands, the publishers are sharpening their blades to compete against the American VOD intrudant. With RTL investing in their own platform, Sanoma is investing in WappZapp, a startup that combines all forms of video content to allow users to create their own, personalized TV evening with movies, TV shows and webvideo. SanomaVentures itself calls their minority stake: 'investing in the future of TV'. "Compared to the US and the UK, we have a lot of catching up to do in Europe. But we believe content is very local in Europe, which gives our locally curated platform a distinctive advantage against our large American VOD competitors. Through our local focus and partnering with all TV producers, we think we can help bring the industry to cross the gap between 'broadcast' and online, on-demand revenues. We very much work in partnership with the industry, not against them." 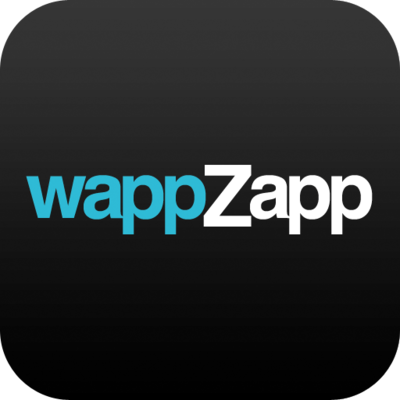 WappZapp allows users to 'zapp through the best video of the web'. The company was started in the summer of 2012 by Colin Ellis and Wienke Giezeman and won the TNW Dutch Startup Award for ‘Best mobile app’ and the Accenture Innovation Award for 'Most innovatieve entertainment company'. Within 9 months after launch, the app was downloaded over 350.000 times, with over 100.000 active users, watching 40 min a session on average. The investment from SanomaVentures will be used to further develop the features of the platform, expansion to Android and web and marketing. Earlier investors include Startup Wise Guys and a a group of angel investors. WappZapp has now raised a total of €650,000. SanomaVentures is the venturing arm of Sanoma, aimed at investing and supporting the development of young enterprises in online commerce, media, marketing and education. SanomaVentures invests in initiatives that have passed the initial starting-up phase and are now entering their first growth phase, where the expertise, network and media of Sanoma can add substantial value. SanomaVentures, started in 2012 and invested in Vault79.com, Scoupy, Peerby.com, Truly Yours, VirtuaGym.com, Brandkids.com en Fosbury.co. WappZapp in an earlier stage refined their product-market fit by joining the Estonian accelerator program Startup Wise Guys, backed by the Springboard and Techstars founder Jon Bradford. Their goal is to build a bridge of innovation connecting startups from around the world to markets and experts from the U.K. and the U.S.